In the elderly,, AMD can cause central vision loss making it difficult, if not impossible, to read, drive, or even recognize faces! Age-related macular degeneration (AMD) is a common eye affliction which manifests as blurred or occluded vision in the center of the visual field. In all forms, AMD is caused by damage to a small region of the eye called the macula, which is responsible for providing the sharp, central vision necessary for most daily activities. As the name might suggest, age plays a pivotal role in the development of this condition. While it is possible to develop AMD earlier in life, in older people, particularly past the age of 60, the risk of developing AMD increases dramatically. In some cases, onset of AMD is rather gradual, with no noticeable visual impairment for many years. In other cases, symptoms may appear rapidly and become severely debilitating. In any case, patients will notice that the most crucial, central area of their visual field becomes blurred; and while AMD does not by itself lead to complete blindness, its effects are certainly worthy of our consideration. By gaining a stronger understanding of the risk factors, stages, and options available to treat AMD, you will give yourself or your loved one the best possible chance of maintaining an active, independent lifestyle. There are a number of risk factors in addition to age that may increase the potential to develop AMD, some of which can be mitigated with healthy lifestyle choices. By paying particular attention to risk factors that are controllable and ensuring that you take steps to address them, you will give yourself the best chance to lead a life with clearer, less obstructed eyesight. According to research reported by the National Eye Health Institute, those who smoke regularly actually double their risk of developing AMD. Smoking cessation is arguably the single most impactful lifestyle decision you can make to help reduce your risk of AMD. There is also evidence which suggests diet may be an important factor; one which can certainly be controlled. It is important to maintain a diet that supports healthy levels of cholesterol and normal blood pressure. Additionally, a diet that is rich in green, leafy vegetables and fish may also help to mitigate risk of AMD due to certain nutrients that support eye health found in each. While it is impossible to control one’s ethnic makeup, it is important to know if you belong to a demographic that is predisposed to greater risk. It has been shown that Caucasians develop AMD more readily than their African-American or Hispanic counterparts. After research, some may find that there is higher incidence of AMD in their family’s history, which is no coincidence. Research has unearthed some 20 genes that may affect the risk of developing AMD. If you belong to a family with a history of eye health issues, it would behoove you to take extra care in getting checked by your eye health professional. AMD is identified and diagnosed in three distinct stages, each defined by the size and frequency of fatty deposits under the retina—known as drusen—along with changes in subretinal pigmentation. Drusen, the primary marker used in AMD diagnosis, are commonly found under the retina in small sizes and numbers as part of the normal aging process. However, larger sizes and frequencies can indicate the development and progression of AMD. Early- The initial stage of AMD is characterized by the incidence of mid-sized drusen. At this stage, it is uncommon to experience any noticeable vision loss. Intermediate- The intermediate stage is characterized by the presence of large drusen and pigment changes. This stage of AMD may result in vision loss for some, however it is still relatively uncommon. Late Stage AMD- There are actually two subtypes of late-stage AMD, each of which is likely to cause vision loss, and each over the course of a distinct timeframe. Geographic Atrophy (Dry AMD)- Due to gradual degradation of macular cells, the transfer of visual information to the brain begins to erode, causing gradual, but noticeable vision loss. Neovascular Atrophy (Wet AMD)- Abnormal growth of new, fragile blood vessels often results in leakage of fluid and blood into the retina as these vessels perforate or rupture. The resultant swelling and damage to the macula can result in swift, severe loss of sight; quite unlike the more gradual experience of dry AMD. There are currently no formal treatments for the early or intermediate stages of AMD, but this is not to say that there is nothing to be done. Eye care professionals almost unanimously recommend adopting a lifestyle that includes regular exercise, abstention from smoking, and a nutritious diet that includes fish and leafy greens. In fact, research (such as the AREDS2 study) has shown that a regimen of supplements, which includes many of the nutrients found in the foods referred to above, may help slow the progression of AMD substantially and reduce the risk of developing late AMD. While other phases are treated with a more preventative philosophy, treatment for neovascular AMD is quite direct. Because neovascular AMD tends to be severely debilitating, it is important to treat it assertively. As previously discussed, neovascular AMD results from the growth and perforation of extraneous blood vessels in the retina. Eye care professionals have developed three techniques to target these abnormal blood vessels and slow visual impairment. VEGF is a growth factor produced naturally by the eye. When abnormally high levels are secreted, it triggers the growth of extraneous blood vessels, which can cause AMD. The most common method of combatting this is with anti-VEGF drug injections administered multiple times per month. Sometimes used in conjunction with anti-VEGF injections, photodynamic therapy is administered in two phases. First abnormal blood vessels are targeted with injections of a drug called vertoporfin, which is then activated by laser; destroying the vessels and eliminating further debilitation. The least common method, laser surgery, employs a “hot laser” used to target abnormal blood vessels and destroy them on contact. As with so many other diseases, preventative screenings are paramount to the identification and prevention of age-related macular degeneration. Aging is inevitable, so it is in everyone’s best interest to consult with an eye care professional to ensure that they are being screened appropriately. For those who find themselves in higher-risk demographics, or whose lifestyle choices pose greater risk for AMD, it is particularly important to adopt a regular screening regimen and adapt your lifestyle to reduce the potential hazard that AMD poses to your eyesight. Consult with family and your eye health professionals today to help keep your precious eyesight intact and help maintain the healthy, independent lifestyle you desire. National Eye Institute. 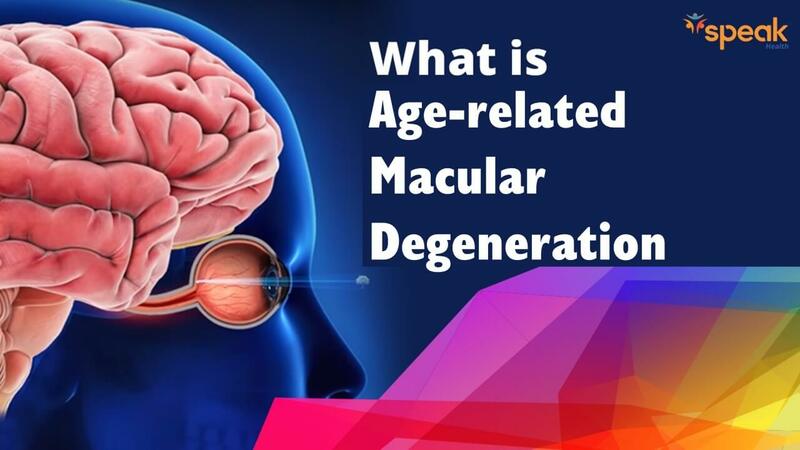 Facts About Age-Related Macular Degeneration. American Macular Degeneration Foundation. Risk Factors for Macular Degeneration. National Eye Institute. Age-Related Eye Disease Study. Hernandez-Zimbron, L. National Center for Biotechnology Information. Age-Related Macular Degeneration: New Paradigms for Treatment and Management of AMD. (2/1/18).